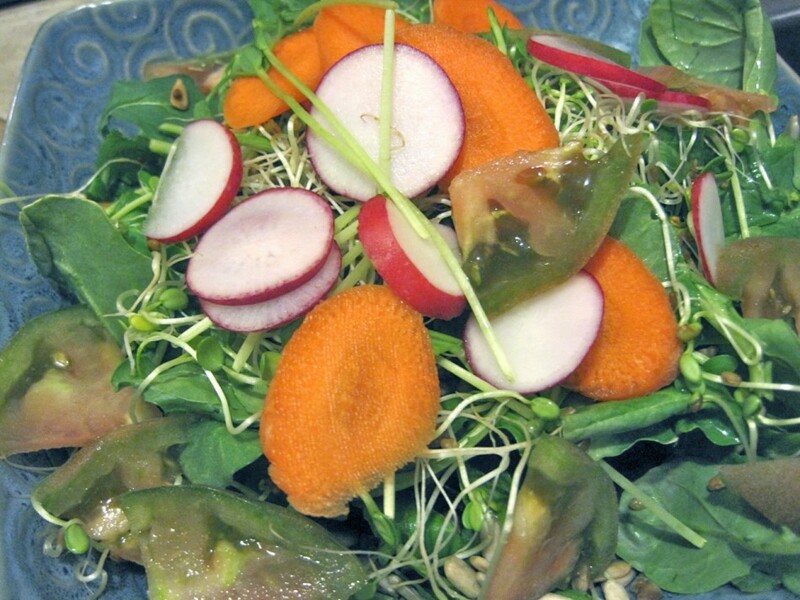 Simple delicious organic salad of spinach, sun sprouts, heirloom tomato, radish and carrot. Basically, whatever greens and veggies I had in the house that day!! 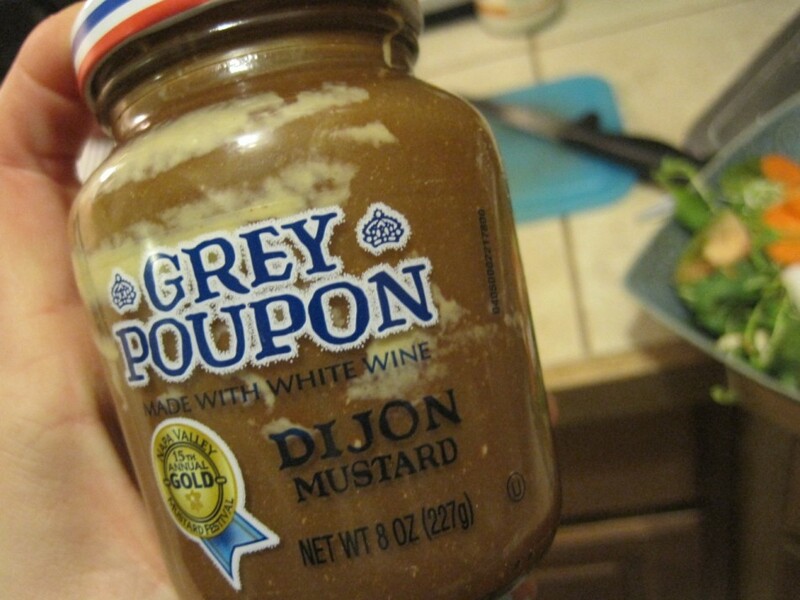 For dressing, there was a little mustard left in the jar so I used it as a shaker and added balsamic, lemon infused oil, and dash sesame oil to the remaining mustard, and shook vigorously. Some fresh ground pepper on top and it’s done. I often eat salad with chop sticks… I find it easier than trying to poke flimsy lettuce pieces with a fork. 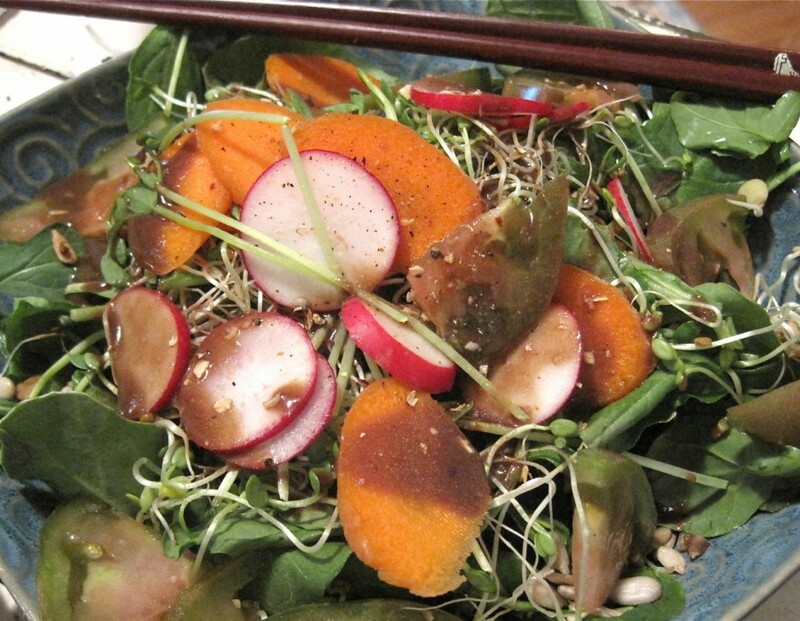 March 11, 2011 | Filed under dinner, lunch, snack, vegan, vegetarian and tagged with dinner, heirloom tomato, lunch, raddish, salad, sprouts.